Dr. Molinsky is an esteemed general and cosmetic dentist. He is a 1983 graduate of New York University College of Dentistry. He also completed a nine month Externship Program in Advanced Periodontal Treatments at Albert Einstein College of Medicine in 1984. 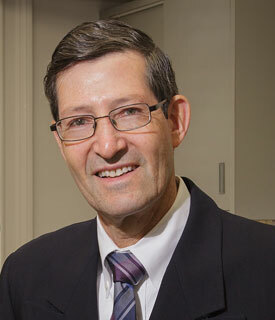 Dr. Molinsky opened his private practice in 1986. Since then he continues to devote a significant amount of time in continuing education. He is an active participant in the continuing education classes at the Peninsula Hospital Dental Society. Dr. Molinsky is also a dental practitioner in the The National PBR (Practice-Based Research Network), sponsored by the National Institute of Dental and Craniofacial Research (NIDCR). Dr. Molinsky performs all phases of general dentistry including cosmetic dentistry, smile design, full mouth reconstruction, and implant rehabilitation. 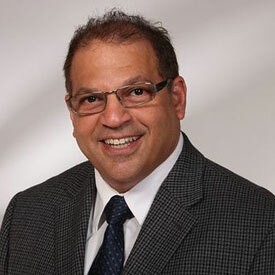 He has distinguished himself as a Fellow (FAGD) of the Academy of General Dentistry and is an active member of numerous educational associations including the International Academy of Mini Dental Implants, Academy of Cosmetic Dentistry, American Dental Association, Alpha Omega Fraternity, Queens County Dental Society and Nassau County Dental Society. Queens Comprehensive Dental is pleased to have a periodontist on staff. Dr. Danny Joseph is a valuable member of our office team. He graduated from Fairleigh Dickinson University College of Dentistry in 1986 and completed his post graduate study in Periodontics at Columbia University in 1988. Dr. Joseph has been working in our office on alternating Mondays, since 1994. He is a member of the Northeast Regional Society of Periodontists, American Academy of Periodontology and American Dental Association. 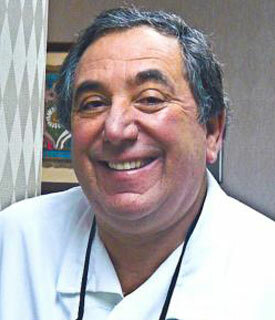 Dr. Richard Delson graduated from Tufts University College of Dentistry in 1970. He was a captain in the US Army Hospital from 1970 to 1972. In 1972 Dr. Delson began practicing in Forest Hills. In September 2016, Dr. Delson merged his practice with Queens Comprehensive Dental Services. In addition to private practice, Dr Delson is the Director of Periodontal Prosthesis at New York Presbyterian Hospital of Queens. He is a Fellow of the American College of Dentistry, the International College of Dentistry and the International Academy for Dental Facial Esthetics.